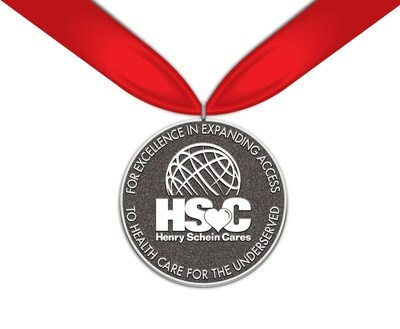 MELVILLE, N.Y., Jan. 16, 2018 /PRNewswire/ -- Henry Schein, Inc. (Nasdaq: HSIC) today announced the nine finalists for the third annual Henry Schein Cares Medal, an award given to nonprofit organizations from the fields of oral health, animal health, and medicine that demonstrate excellence in expanding access to care for the underserved. Oral health – Community Treatment, Inc. (Festus, Missouri); Mary's Center for Maternal and Child Care, Inc. (Washington, DC); and My Community Dental Centers, Inc. (Boyne City, Michigan). Animal Health – Animal Refuge League of Greater Portland (Westbrook, Maine); Brooke USA, Inc. (Lexington, Kentucky); and the Massachusetts Society for the Prevention of Cruelty to Animals (Boston). Medicine – Care 2 Communities (St. Paul, Minnesota); Community Volunteers in Medicine, Inc. (West Chester, Pennsylvania); and The Night Ministry (Chicago). Each medalist will receive a cash award, through the support of the Henry Schein Cares Foundation, Inc., in the following amounts: $15,000 for gold, $10,000 for silver, and $5,000 for bronze. In addition to the cash awards, each finalist will receive $10,000 worth of product from Henry Schein, Inc.
"Throughout our company's history, we at Henry Schein have been guided by the principle that everyone, regardless of their economic standing or personal circumstances, deserves quality health care," said Stanley M. Bergman, Chairman of the Board and Chief Executive Officer of Henry Schein. "These nine organizations share that idea and embody a spirit of generosity that deserves recognition, and we are proud to honor them with the Henry Schein Cares Medal." Headquartered in Melville, N.Y., Henry Schein has operations or affiliates in 34 countries. The company's sales reached a record $11.6 billion in 2016, and have grown at a compound annual rate of approximately 15 percent since Henry Schein became a public company in 1995. For more information, visit Henry Schein at www.henryschein.com, Facebook.com/HenrySchein and @HenrySchein on Twitter.